What’s the most important thing to do when you want to save? a) Borrow money to pay off your debt? 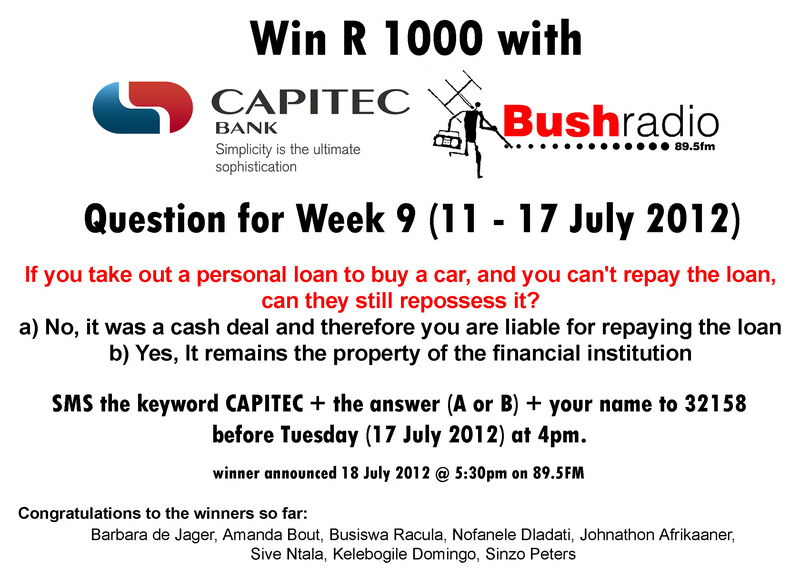 Have you entered week 7 of our Capitec competition? 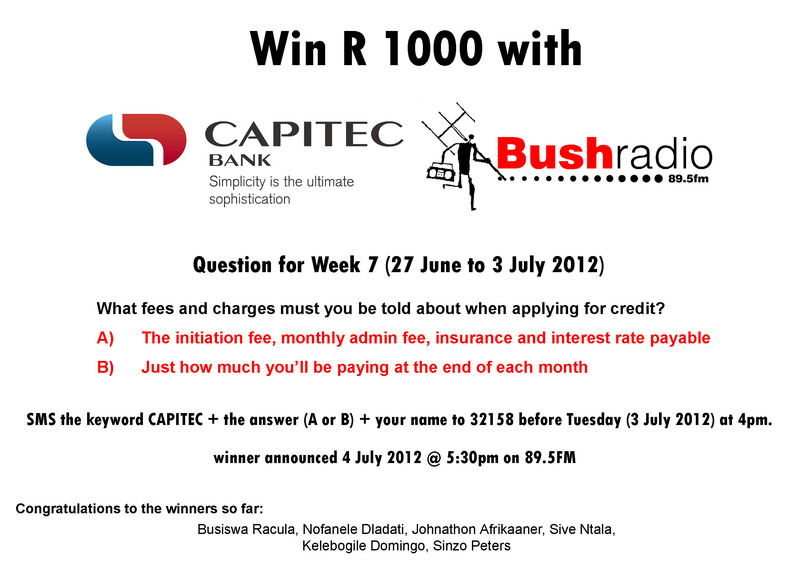 Remember the Bush Radio / Capitec competition is running until August – so don’t forget to get your entry in for this week. What fees and charges must you be told about when applying for credit? 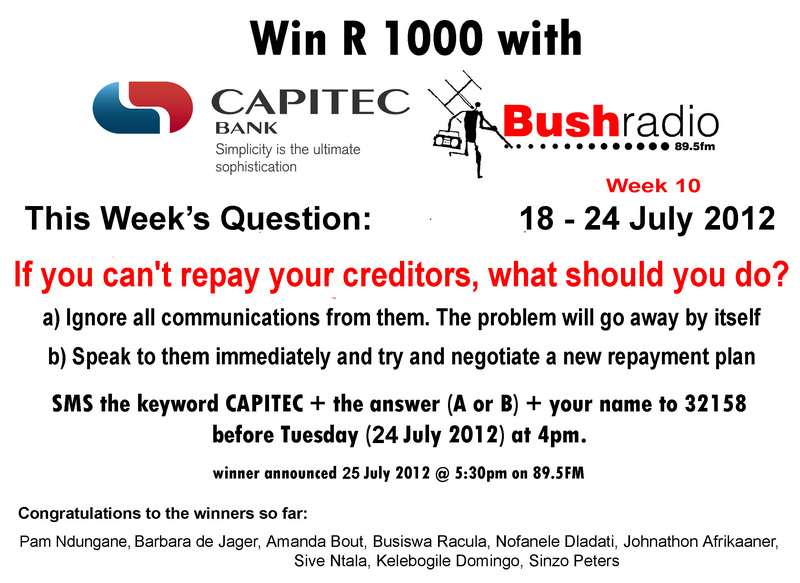 Remember to get your sms in for this weeks Bush Radio/Capitec R 1000 giveaway. 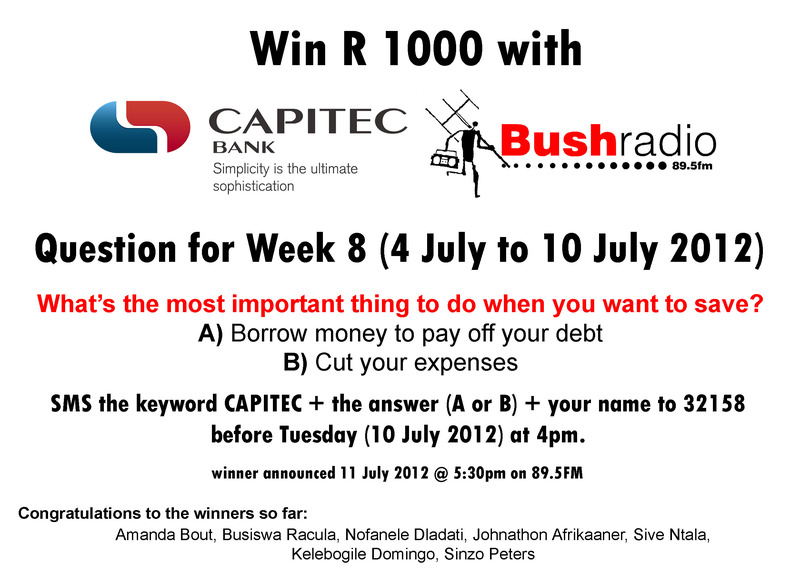 SMS the keyword CAPITEC + the answer (A or B) + your name to 32158 before Tuesday at 4pm. With a debit card, can you draw cash from places like Pick n Pay and Checkers? 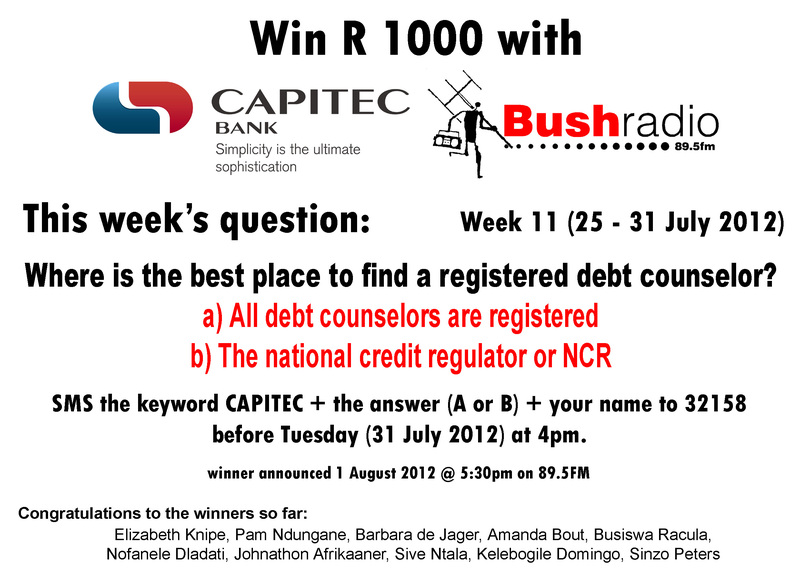 Every Wednesday from the 16th of May to the 8th of August 2012 one lucky listener per week will be winning R 1000 with Bush Radio and Capitec Bank. 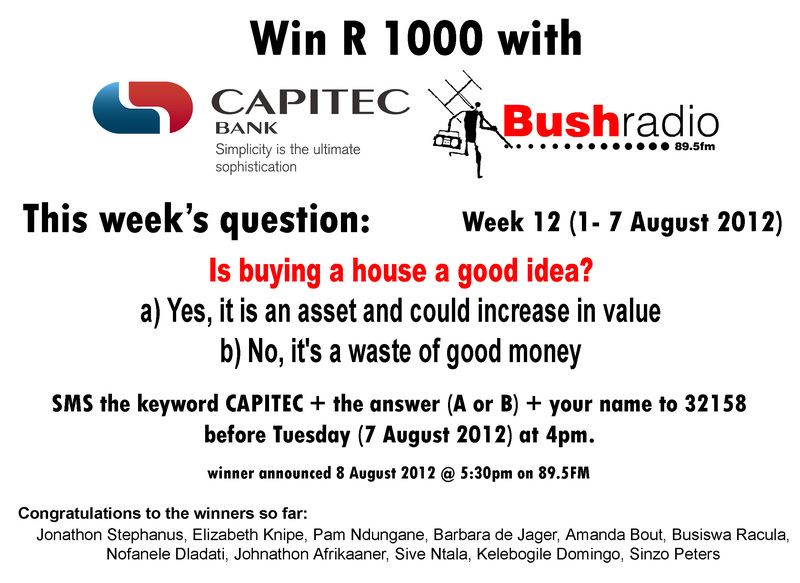 All you need to do is tune into Bush Radio on 89.5fm (or via your PC/Iphone or BlackBerry) on a Wednesday from 5:30pm and listen to the short Money Wiz feature and then sms your answer to the easy question.